The Controller has turned to 21key white remote control. It's a very good product. They work like expected. Really good for the price if you compare it with the expensive ones from popular brands there is not much difference. Only the remote control is different than on the pictures. Adorei os coolers cores lindas veio bem embalado tudo funcionando corretamente super recomendo! 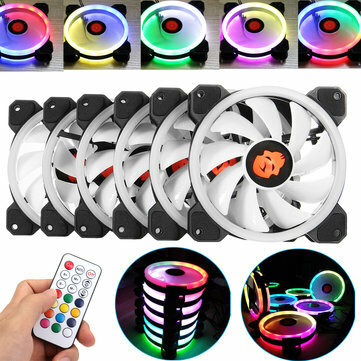 cooler top de linha chegou muito rapido tem um otimo fluxo de ar e tem efeitos impressionantes. muito satisfeito.